This is not an ordinary business. Our ultimate intention goes far beyond a mere transaction, we are here to make a real difference. To engage in meaningful, culturally appropriate, materially sustainable artisan production that supports village life through cottage industry. To be a significant and reliable force for generating wellbeing, prosperity, and independence within the village life of San Sebastian Rio Hondo, Oaxaca. Inject vibrancy and foster satisfaction in village life. Contribute to the abundance and well-being of the families with whom we work. Foster supportive relationships within families, within the community and with the earth. Improve community health and sustainability via innovative public works. Promote resistance to consumerism and independence from corporations and governments. Grow a self-supporting business that is sustainable from the ground up. Create a strong and flexible organization that is resilient in the face of internal and external adversity. To meet the consumer desire for natural and sustainable produced products which represent their makers and support village life. Return profits to the village via community development initiatives focused on natural health, food sovereignty and environmental stewardship. 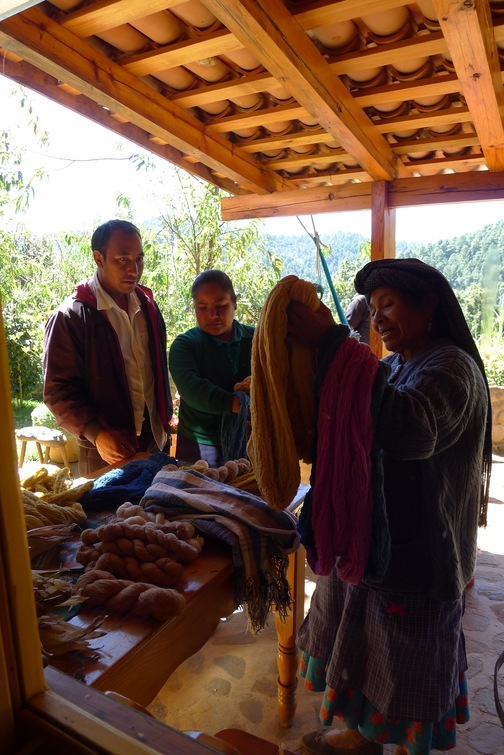 Create a working model for other Oaxacan cottage industry initiatives. Educating the public on the toxicity of the textile industry.